XL Energy International Corp. is a leading manufacturer of energy drinks. Cool Trade & Industry Co. have twice tried to get large shipments of empty beverage pans into the West Bank (also known as the Palestinian Authority and as Judea & Samaria) over the Allenby Bridge from Jordan. The shipments were each of 600,000 cans. 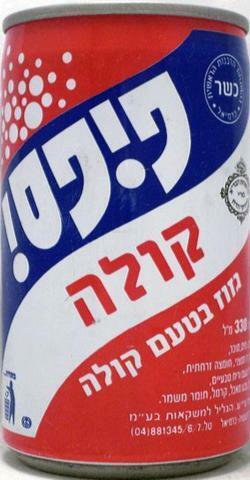 In the first case, Judge Gideon Ginat of the Tel Aviv District Court ruled that there was a likelihood of confusion between the Cool Trade & Industry Co cans and those of XL and that the cans should be destroyed or sent back to Jordan, whereas in the second case, he ruled that there was no likelihood of confusion and the cans could enter the country. The decision highlights the fine differences between competing products that are legitimate alternatives, and those that are considered as copies. XL Energy International Corp. produces the XL energy drink in its factory in Poland. The product is described as being a carbonated energy drink containing and caffeine and taurine that is manufactured by Tempo Drinks LTD. The company claims to have sold hundreds of millions of cans since introduced into Israel in 2004. Tempo distributes in Israel and Unipal General Trading Co. distributes in the areas under the control of the Palestinian Autonomy. 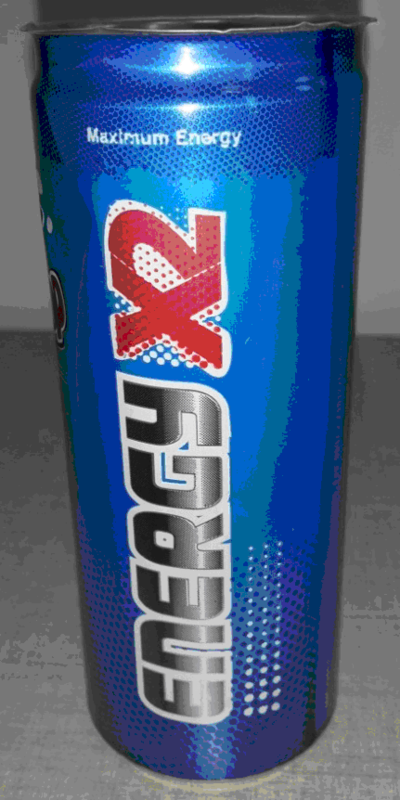 On 19 March 2013, following a first shipment of 600,000 HipHop cans labeled X2 in a red font that is arguably confusingly similar to the XL log, in blue cans with darker blue bubbles, the Customs Authority held up the shipment and Tempo and XL sued for trademark infringement, passing off and Unjust Enrichment. On 30 April 2014 a second shipment of 600,000 was held up by customs and XL sued again. This time the cans do not have the darker bubbles and the X2 logo is in black and silver instead of in red. XL has two Israel trademarks. Israel TM No. 216718 and 217476 reproduced below. They sued for trademark infringement under the Trademark Ordinance 1972 and for passing off under Section 1a of the trade laws 1999. The first set of imported cans are shown here. XL claims to have sold 53,000,000 cans in the Palestinian Autonomy during the years 2009 to 2013 and to have spent half a million dollars in advertising. The parties agree that their products are similar, are aimed at a similar market and are distributed via similar retail outlets and may even be sold on the same shelf. The plaintiff argued that customers do not have perfect recall and may see a Hip-Hop can and think that it is an XL can. Their witness argued that customers spend three seconds in front of the beverage refrigerator and that this type of purchase is an impulse purchase. There are differences between the two cans, but the overall impression provided by the two cans is the same. Judge Ginat accepted this argument based on the case-law, particularly 5454/02 Taam Teva (1988) Tovoli vs. Ambrosa. The defendant argued that XL were not entitled to a monopoly on the X or on blue cans. They claimed that their cans had different markings, different text and different text colour. 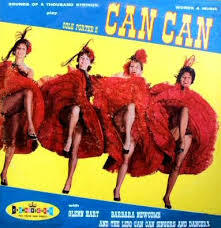 Judge Ginat was convinced that the defendant was well aware of the XL cans trade-dress and appearance before they designed the Hip-Hop can. The issue is the likelihood of confusion of customers. Judge Ginat noted that although the case was brought in the Tel Aviv court and was cans were intended for the Palestinian market. The issue here is likelihood of confusion by West Bank and Gazan Arabs. Unfortunately, neither party has provided any evidence regarding the market, such as consumer, wholesaler or retailer testimonies. The defendant’s evidence was mumbled and unclear. What is clear is that there are other energy drinks such as Blu. He also noted that Judge Dr Binyamini had rejected Straus’ claims against Noga Icecream as them having a monopoly for gold containers. Furthermore, a single letter such as X is not protectable as a trademark. See E! Entertainment vs. Duetche telekom A.G. and Dr Seligsohn “Law of Trademarks and related Laws, Schocken 1972. He then went on to cite Qualitex v. Jacobson Products 514 U.S. 159 (1995) and Christian Louboutin v. Yves Saint Laurent America (5 Sep. 2012) to the effect that a colour can serve as a trademark, i.e. as an indication of origin. However, the US Supreme Court acknowledged an Aesthetic Functionality Doctrine under which monolistic rights in a colour will not be granted where doing so undermines the competitor’s ability to compete in the relevant market. “In short, a mark is aesthetically functional, and therefore ineligible for protection under the Lanham Act, where protection of the mark significantly undermines competitors’ ability to compete in the relevant market. See Knitwaves, Inc. v. Lollytogs Ltd., 71 F.3d 996, 1006 (2d Cir. 1995) (linking aesthetic functionality to availability of alternative designs for children’s fall-themed sweaters); Landscape 20 Forms, Inc., 70 F.3d at 253 (holding that “in order for a court to find a product design functional, it must first find that certain features of the design are essential to effective competition in a particular market”). In making this determination, courts must carefully weigh “the competitive benefits of protecting the source-identifying aspects” of a mark against the “competitive costs of precluding competitors from using the feature.” Fabrication Enters., Inc., 64 F.3d at 59. Finally, we note that a product feature’s successful source indication can sometimes be difficult to distinguish from the feature’s aesthetic function, if any. See, e.g., Jay Franco & Sons, Inc. v. Franek, 615 F.3d 855, 857 (7th Cir. 2010) (noting that “[f]iguring out which designs [produce a benefit other than source identification] can be tricky”). Therefore, in determining whether a mark has an aesthetic function so as to preclude trademark protection, we take care to ensure that the mark’s very success in denoting (and promoting) its source does not itself defeat the markholder’s right to protect that mark. See Wallace Int’l Silversmiths, Inc., 916 F.2d at 80 (rejecting argument that “the commercial success of an aesthetic feature automatically destroys all of the originator’s trademark interest in it, notwithstanding the feature’s secondary meaning and the lack of any evidence that competitors cannot develop noninfringing, attractive patterns”). In summary, whether or not a colour mark is recognized is highly case-specific. This made the judge’s ruling difficult as neither side provided evidence regarding other energy drinks available in territories administered by the Palestinian Authority. In conclusion, Judge Ginat felt that despite the obvious and non-accidental similarities, where other manufacturers are selling energy drinks in blue cans and using an X, or bubbles, noone is entitled to a monopoly for these with regards to carbonated energy drinks. Judge Ginat considered that the first shipment of cans is confusingly similar to XL’s beverage cans and so there was passing off. Furthermore, the cans were marked in ways that are very similar to identical to XL’s registered marks. 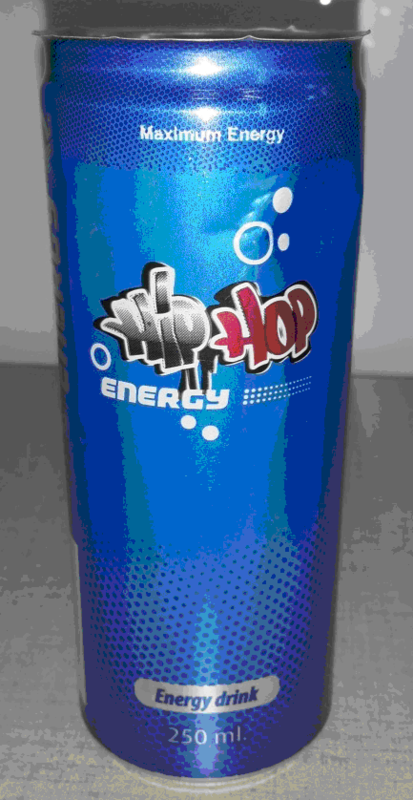 However, the second shipment, where the cans were clearly labeled Hip Hop Energy X2 the background blue is different and there is no likelihood of customer confusion nor is there trademark infringement. The Customs Authority shall see to the destruction of the first shipment and the defendant is forbidden from importing or distributing cans of the first design. The second shipment shall be released and the storage costs incurred will be born by the plaintiff. If Cool Trade & Industry Co. do not pay the storage costs, Customs may deduct this from the deposit made by XL who may then sue Cool Trade & Industry Co. to recover the costs. In the cirucumstances, no costs were awarded to either party and no fines were imposed. Civil Ruling 38108-03-13 and 26979-05-13 XL Energy International Corp. vs. Cool Trade & Industry Co., Tel Aviv District Court, Judge Gidon Ginat, 16 November 2014. Blu and Red Bull both have blue cans. The size of the energy drink cans is standard. In other words, there is a standard appearance that says energy drink. Judge Ginat considers that the customer will recognize Cool Trade & Industry Co.’s cans as being cans of energy drink, but won’t be confused into thinking that the cans are XLs. There is a problem though. X2 looks remarkably like XL, and this seems intentional. A single letter cannot be registered as a trademark, but two characters can. West Bank Arabs might well see X2 as XL. This ruling brings to mind Judge Agmon Gonen’s ruling concerning four stripe trainers that are inspired by Adidas’ designs but not really confusingly similar therewith. It also brings to mind the rather odd XO decision wherein two different companies selling energy drinks were allowed to register the same mark! Finally, we remember fondly that whilst Pepsi was boycotting Israel due to pressure from Arab countries, a Galilean Arab manufactured and sold Pips Cola. The courts ruled that Pepsi had given up on their rights in Israel, and lacking other alternatives, Pepsi eventually bought the rights to Pips Cola from the manufacturer.